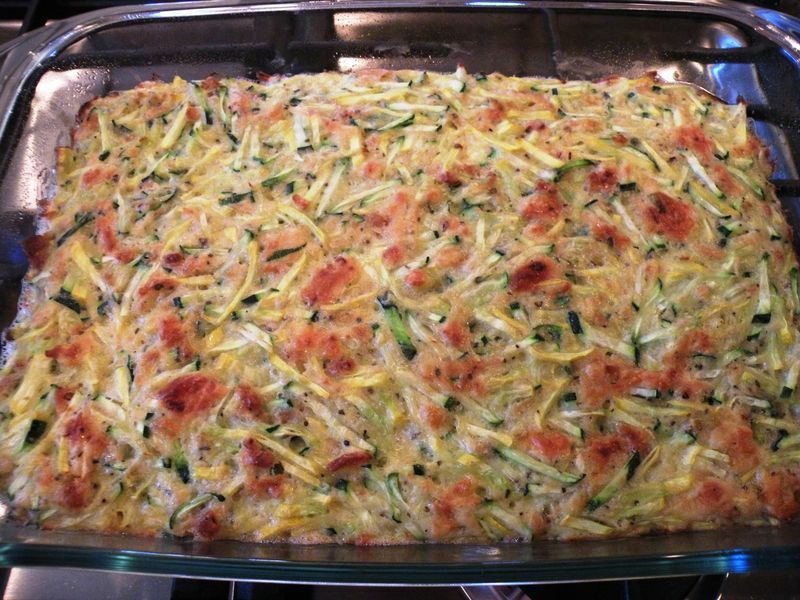 Southern style zucchini is one of the most delicious and easy to make cuisines. It is a perfect blend of zucchini, cinnamon, vanilla and walnuts. If you are looking forward to make the southern style zucchini at your home for your family and friends, you can take help from the given steps. Utensils: Cups, saucepan, spoons, frying pan, skillet and bowls. First of all, you have to put the zucchini in the strainer. Then, press it with your hands or squeeze it in order to get the excessive liquid out. Now, take a bowl and add eggs, oil and sugar in it. Mix all the ingredients well with eat other with the help of a beater. After that, add the soda, vanilla, cinnamon, flour, salt, baking powder and walnuts in the bowl containing the egg mixture. Then, mix all the ingredients again with a fork (don’t use a beater as it will make the mixture too hard). Add the zucchini (which you drained in the first step) in the bowl and mix it well with the mixture. Take two pans and pour the mixture into them after greasing them with oil or butter. Preheat the oven to around 350 degrees Fahrenheit. Then, place the mixture in the oven and bake it for around an hour (until it becomes brown). Take the baked zucchini out and insert a toothpick in it. If the toothpick comes out clean, it means that your zucchini is completely baked. But, if the toothpick doesn’t come out clean, you have to bake it for few more minutes. You can use anything of your choice as topping. Serve the zucchini along with some juice and enjoy your feast.